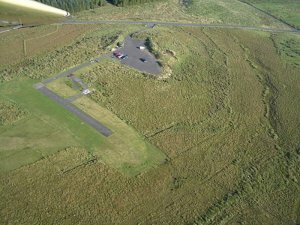 I recorded our experiences in building a new flying site in the hope that it may be of use to anyone else considering the same path. In the beginning was the realisation that our (then) current flying site was not filling all our needs. 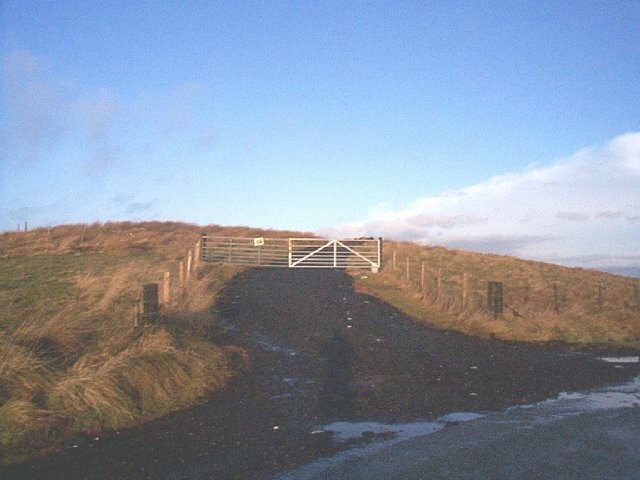 It was the wartime airfield at Kirknewton near Edinburgh and the main attraction was the tarmac runway and parking area. However, we could only use it during the evening, and we could not use it on a Friday, Saturday or Sunday or over the winter, so we decided to play safe and look for another site. Jim McGlynn and I had spent a considerable amount of time knocking on farmer's doors to no success and had all but given up. However, we placed an advert in the "Scottish Supermart" and this resulted in an invitation to visit the farm in question. Following a tour, one particular site was earmarked. It was 1/2 mile from the nearest house, had a hard road up to a car park for a dozen cars, and pilots would have the sun to their back when flying. Pretty good? Not quite! 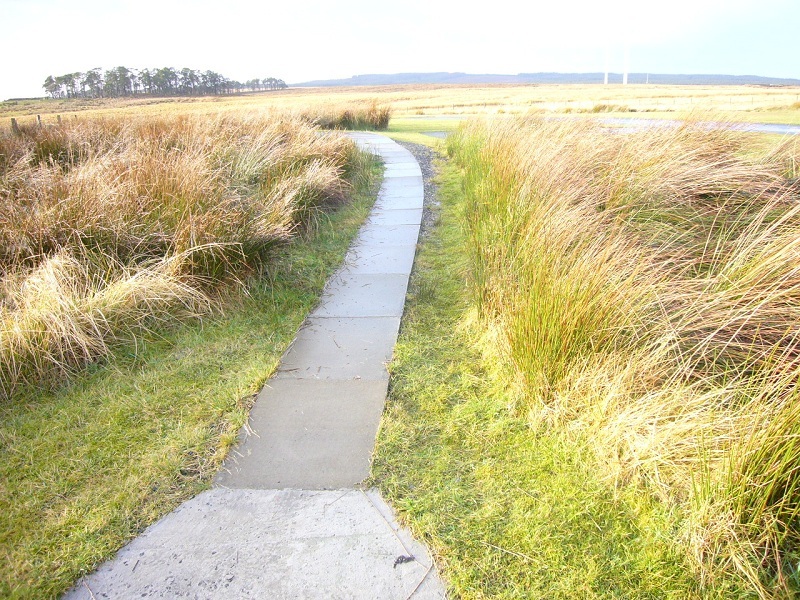 The grass was 2 feet tall, and the whole place was a peat bog on top of a clay sub-soil. That's a pretty bad combination. 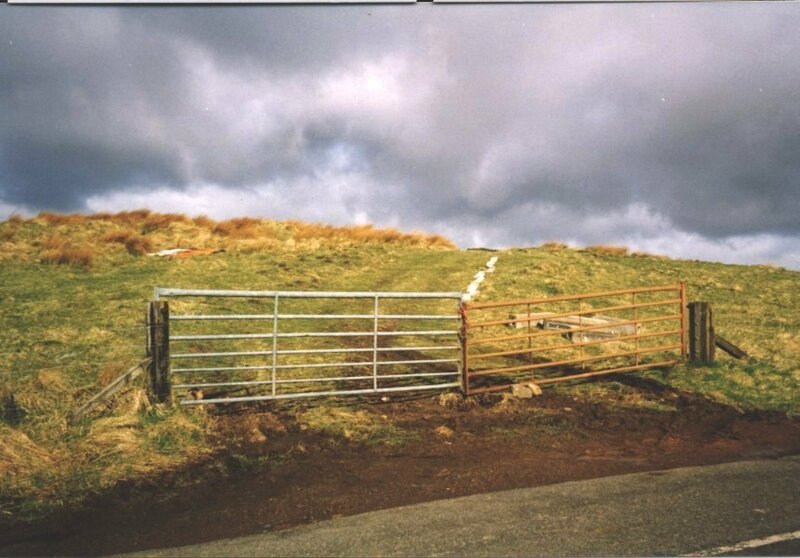 On the upside, the farmer said he would cut and roll the grass, we could fence off the area, and an Astro Turf, tarmac or concrete runway was not a problem. We went back a week later with 3 other members to have another look. The nice flat bit was running North/South but the approach would take a plane too close to the village so that runway was out of the question. The East / West was on a slope and that did not look the best solution either. However, the slope would help the ground drain a bit better so we went for it. Our reasoning was partly that Woodsprings is also on boggy land and they have done it, so why couldn't we? Sunday morning. Went up with Jim for a couple of hours. Took up a dozen bags of top-soil in case they're required. Took some plastic sheeting and started hauling the grass to the end of the runway. Dug out about 20 metres of the North / South drain which was clogged up. That should help things. It's impressive how much can be accomplished in such a short time. Put advert in "Scottish Supermart" for a petrol fly-mo. Buy it on the Wednesday evening. Go up on the Sunday and cut half of the car park and the first part of the runway, whilst Jim and John start digging a new East / West drain along the side of the cut grass area. The place still looks better in the dark. We need money and we need more helpers, but the place is not really far enough on to impress people. It's getting dark at 7:30 so the petrol cannot be justified for such a short stint on week-days so it all has to done at week-ends. 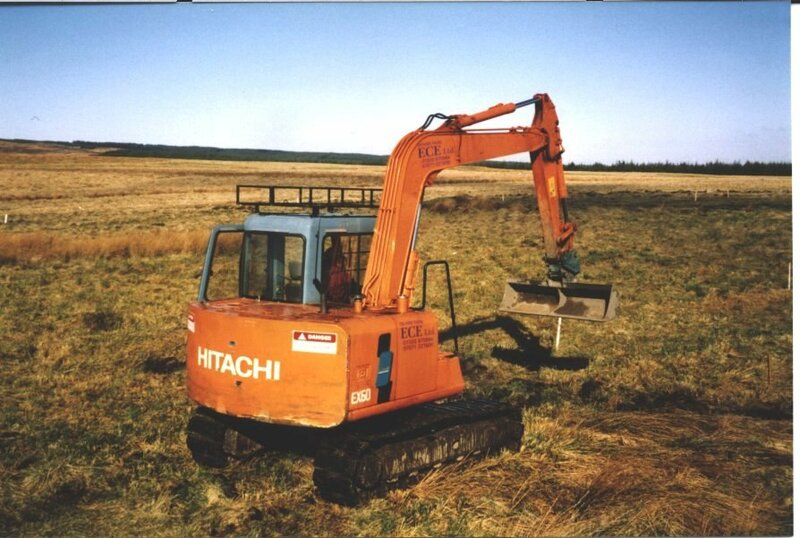 Phone around for mini-digger prices, hard-core prices and field drain prices. Jim phones the local council for road scrapings so we get put on their backlog. Put advert in the "Scottish Supermart" for field drain. Wednesday: They've got the ad in the wrong section so had to re-send it. Pick up some pallets on the way home. They need creosoating before they can be used. More money and another job to be done. It has rained pretty well all week. Went up on the Saturday for 4 hours and cut another area of the car park, and another part of the runway. The trick here is to cut it, rake it, then leave it for an hour to dry, then cut again. The ground is pretty wet after the rain so no chance of getting the tractor and a 4 & 1/2 ton roller on the case. Dug out another 10 metres of the new East/West runway drain. The peat is very wet so it cuts easily. The water is now starting to flow so perhaps we're making progress. Took time of to fly the glider for 1/2 an hour. Lots of thermals due to the standing water. Must get a noise test done soon for the power people. Sunday. Should have picked up some Astro-turf. However, our contact has not been back to us, and we don't have a lorry anyway. Wives stop play so we can't do any work on the field. Spend some time repairing a crack in the fly-mo's skirt. Jim informs me that he has a contact for a motor roller and that it can be delivered. How we get it across to the runway is another matter since the ground is very wet in places. It has rained solidly all week but surprisingly, the site is no wetter than on previous visits. Wednesday: We get two replies from the advert for field drain, but nothing has come of them. Thursday: Jim informs me that he has about a dozen 2 x 2 slabs for the pilot stance area. Discuss using old engine oil on the pallets but reject as too messy. Sunday afternoon: Jim, John and I are joined by the SAA secretary, Harry West. We finish clearing the main North / South drain, and cut two new drains across the width of the runway. Water is flowing freely in all of them so we are starting to see some result for our efforts. Need to dig at least one more across the top and down the other side of the slope. We do a noise test with my Mascot but it a fairly quiet engine (OS 40 LA) so maybe it is not giving a true impression. Must get three aircraft up in the air. Do the third cross runway drain and start on the other length-ways one. I took some photographs for the web site but they were pretty poor. Sunday evening: The farmer phones me. He has 100 metres of drain pipe. Also, he will dump some shale on the entrance, AND he will cut more of the long grass. I ask him for some advertising blurb about his farm for our web site. Tuesday: Visit the local garden centre. A 25kg bag of grass seed, 50% rye is �100. Visit the greenkeepers at the local golf course and get a contact name at Sports Turf Services at Newbridge� and call them for advice. They have a seed that will cost about �40 for enough to do the area. If there is a lot of moss we really need to hire a Scarifier to cut through it. Also, it seems that coatings of sand will be benifical as it will be absorbed into the peat, thereby breaking it up. Also it will eventually get absorbed into the clay thereby acting as a route for the water to flow through. We are now too late to sow grass seed as the frost last night would have killed it. However, we may need to put down some fertiliser over the winter. The salesman lives near the site so he will go have a look at the site. He will call me middle of next week he says. Yeah, right! I'm still waiting. It rains all week. However, when I go up on the Sunday, it is no worse than the week before. Unfortunately, rain stops play. All we get done is to dig a new 10metre drain which was half full of water by the time we left. Monday: Professor Spoor phones to discuss progress and drainage techniques. 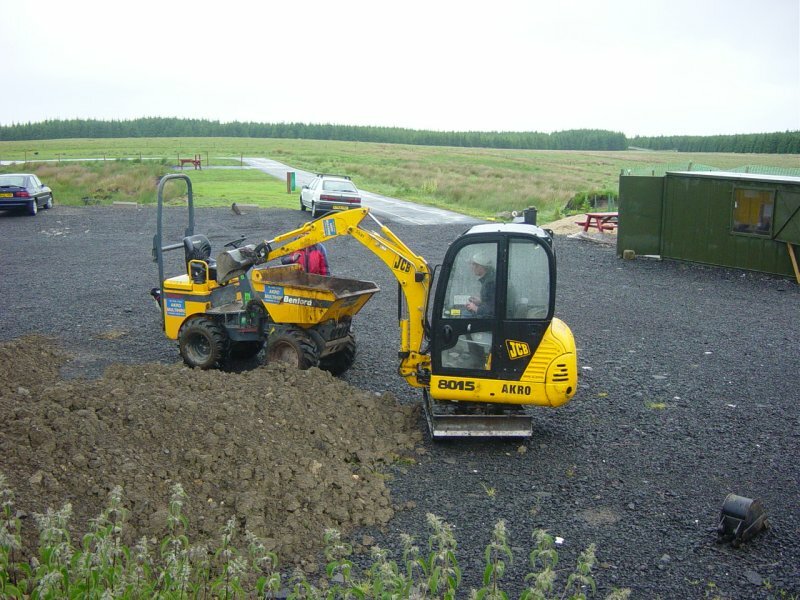 Thursday: Jim has found a mini-digger and driver for �50 a day. This is the weekend of Jim's 40th birthday so there is absolutely no chance of going up this Sunday. Okay! I'm addicted. I went up on Sunday afternoon and dug another 15metres of ditch. Jim went up on Monday and finished the top drain. He also cleared about 10metres of the cut grass. Sunday. 4 people turn up AND the mini-digger which proceeded to dig 60 metres of ditch before a hydraulic leak stopped play. 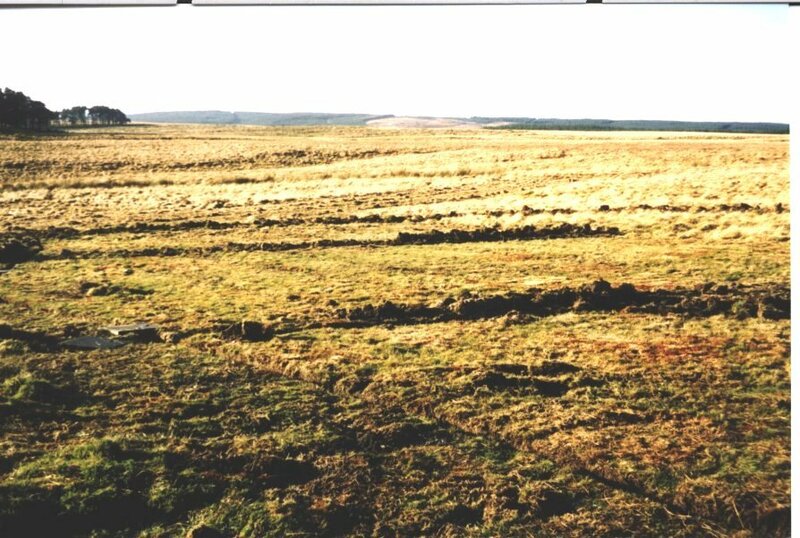 All the cut grass was cleared from the site, and about 50metres of peat from the drains was removed. The site is now starting to look a bit better. It's still wet, but that's not surprising as we have had another week of serious rain. The deep drain which the mini-digger had dug had filled with water on the East side of the slope. This drain was taken further East to meet up with an existing drain, and the water started to clear. This amount of water must also have been cleared from the North side of the slope rather than continue down onto the runway. Another lesson learned. 1" of rain fell last night so the whole place was very wet. But so is every other field in the county. The mini-digger could not put in our next drain, so he joined our South drain to our East one, thereby completing a trench all the way around the runway. Any water in the runway can now only be rainfall. 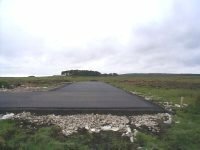 3 visitors came up to the site and (surprise, surprise) a contractor to quote for a tarmac runway. We also have had an offer of a heavy duty petrol strimmer. I gave the farmer a copy of the development plan which broke the site down into bite-sized chunks, with proposals and estimates for each. "No problem, very professional" he said..
You guessed it! Another week of rain. Its now very frosty at night, and there is no heat in the sun. When the frost melts, the grass gets wet, and stays wet. The Sunday was the day earmarked as the "Open Day" for potential members. About 7 people including a Civil Engineer turned up. 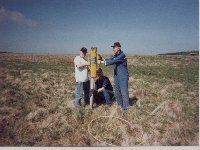 He examined the site, and promised us a written report. We extended the main barrier drain and allowed the water to drain off. A lot of the peat from the cross-runway drains was removed, and by the end of the day, the place was looking pretty tidy. We also got some flying done which was nice for a change. The development plan is now almost complete and is only awaiting the last of the quotes. Next week is the SAA's A.G.M. so work will probably slow down until we hear from the lottery / Awards for All application which we will be submitting. The advert is almost ready, and the locations for the posters has been agreed. 25 copies of the advert have been made and these should get distributed throughout the area over the next 2 weeks to libraries (note that you should approach the central librarian and he/she will get the posters distributed). The first committee meeting has been set for the 10th Nov. Membership currently stands at 10 but needs to be a lot higher. Spoke with planning department and environmental health. Planning application stuff has arrived so that needs looked at. Saw some people looking at our advert on the noticeboard at the SAA's A.G.M. so at least word will start to get around about us. Spoke to the Chairman of the Woodsprings Club. 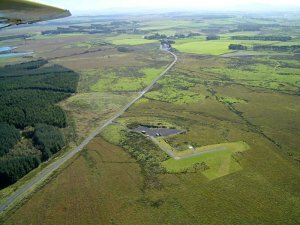 They have 10 feet of peat below them, and a nice 100m x 10m tarmac runway. Total cost to date: about �50K. They also do an airshow every year. The "Code of Practice for Model Aircraft Noise" has arrived. Basically it's all just common sense. The first committee meeting was held. Application forms for the local model shop are required, and the New Members Welcome Pack will be put together over the next couple of weeks. The adverts are now being distributed. We currently have one new person (Gordon's work colleague) showing an interest. The bank account has now been opened. The lottery application continued to be tweaked and has now gone for review by our contact in West Lothian District Council. There are 2 versions of the plan: one for a 3 year development and on for a 5 year development. Sunday was "meet-the-neighbours" day. We spoke to about 20 residents of the local village and left letters with contact phone numbers. The response in all cases was very positive. The other 26 will be done in due course. We also did a couple of test flights. Well, 1 test flight and 1 test crash. A clevis pin sheared and my Mascot spun in vertically from about 50 feet. Messy! The model was buried up to its wings in the peat. The prop wasn't even broken. Some minor damage was incurred when the front wheel sprung back when it hit the ground, and a minor bruise on the wing, but it's still intact. (The prop went straight in the bin anyway). 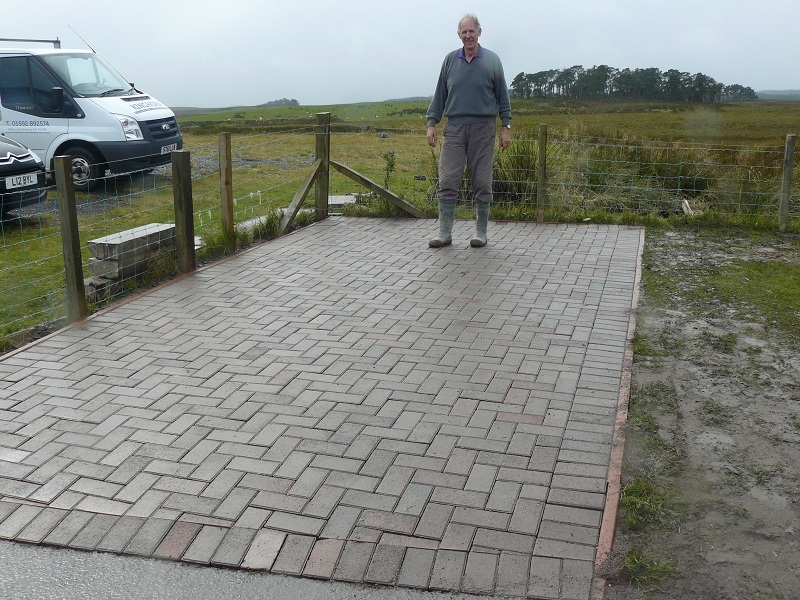 The "before & after" pictures of the path from the carpark to the runway. Not a lot has happened over these two weeks. The advert is now in the local model shops. The advert is also in the local libraries and sports centres in the area. Another 30 letters have been photo-copied to hand out to the neighbours in the local village. We have had some feedback on the lottery application. Basically we need to make some changes to the constitution regarding the assets if the club packs up, and we need to do more work on how we will try to bring new people into the hobby. There is now a sum of money earmarked as "Youth Development Fund" shown on the budget for the next 3 years. We have the BMFA's teacher guide and model price list, as well as hardcopies of the BMFA handbook. The major event this week was to get the lottery application approved and sent off. This was done. A letter was sent out requesting informal planning approval and press releases have been sent to 4 of the local newspapers. We have had one new membership enquiry, with a further 1 nibbling at the edge. We also have a proper drawing / plan of the runway construction, courtesy of the Civil Engineer who kindly visited a couple of weeks ago. We have also found a squad who will lay the concrete properly for us. 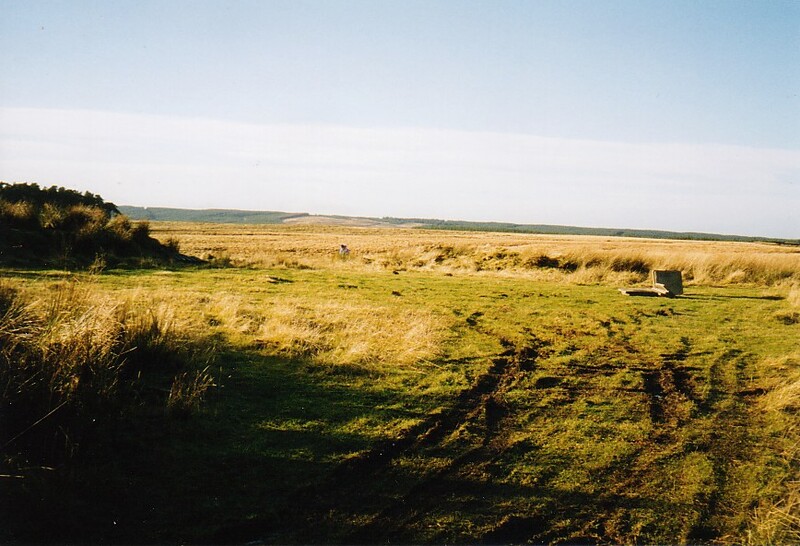 We have a letter from the farmer saying that "we can use and develop the site, and that barring any unforseen circumstances, we have the site for the next 5, if not 10 years". The 17th Jan in the afternoon is the next scheduled visit to the site. 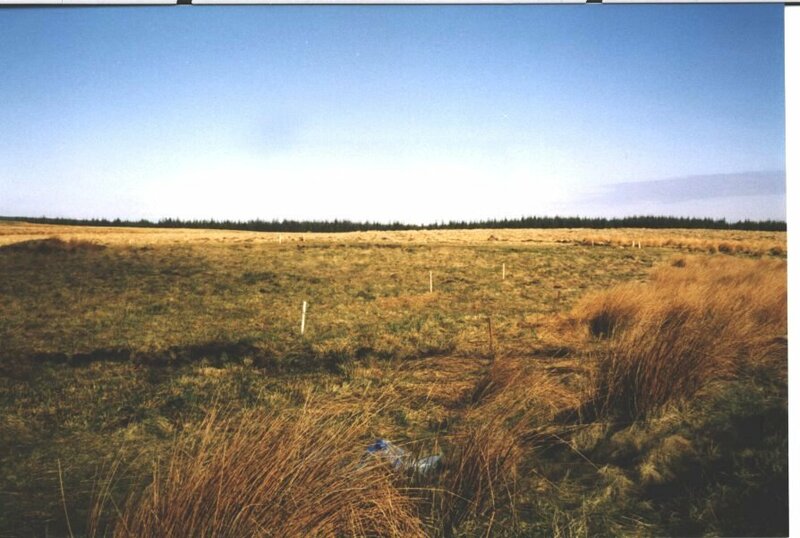 Lindsay Dickie, Don Imrie and Ian McLaren should also be there to give us their views on the suitability of the site. I now feel that we have turned a corner, and that things are starting to come together. Its been a long and hard slog, with high levels of frustration due to the rain, but very enjoyable nevertheless. We are learning a lot, and hopefully others can learn from our experience. A press release was sent out to 4 of the local newspapers. One called me and said the wanted to do a full blown article with photographs. Consequently I sent them a copy of our "Welcome Pack" and some supporting information about model flying in general. The photo-shoot was arranged for the Saturday and it dawned bright and cold. About a dozen people turned up with model including Martin Gibbs with a 4metre Algebra, Ian McLaren with a �5000 7 foot Mirage and Lindsay Dickie who gave a display (in a 30MPH wind) with his OS70 powered AcroWot. Following the adverts for new members in the Scottish Supermart we have received 4 calls from prospective members. Iain Weymss has donated a C.S.M. R/C model flying simulator to the club. This is now available and anyone with a PC can borrow it. The "Welcome Pack" has now gone out to most members. The newspaper article turned out to be a double-page centre spread in colour. It was pretty accurate with a little bit of reporters licence thrown in for good measure. We received 5 phone calls, one person being the original Chairman in 1952, and represented about 10 others. Another person represented about 6 others who were having a hard time getting trained. Not bad if they all join up. All adverts are now distributed, and all "Welcome Packs" have been sent out. Busy week. The council planner has been out to look at the site, and sees no problems. Consequently, we will be making a formal planning application ASAP. The current thinking is that we want all membership fees in by the 12th Feb so that we know where we stand financially, with a committee meeting on the 14th to draw up a detailed plan. We will hear from the planning people on the 26th March and expect to start work on the first week-end in April. The concrete will hopefully go in at the beginning of May, depending on the weather. Currently we have 12 members and 21 other "Welcome Packs" have been sent out. I am now getting slightly concerned that the car park could get quite crowded, and could become a limiting factor on how many members we accept this year, or until we extend the car park. Our 5-year budget shows 14 members this year, rising to 20 next year. 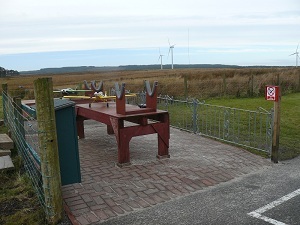 The car park as it stands can take about 12 cars, and parking on the roadside is not an option. If only all problems were as nice to have as this one. Sunday saw an early morning attack on the site with a strimmer. Jim cut a path straight across from the car park to the runway. Those reeds didn't stand a chance until the chord run out so we'll need to get a new one and go back again. Dave Gillan followed up with a 12 metre drain to let the standing water soak away. 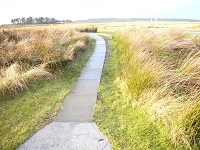 The drain had an immediate effect and should result in a drier pathway to the runway. 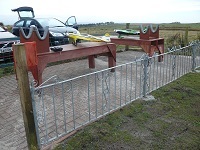 We also fully measured the site and posts were hammered in to mark out the drive, car park, path and runway. The tension mounts. Will our grant application be successful, or will we need to do it the hard way? Will we have enough members to do it the hard way? How many people are thinking they can just wait for the runway to appear, and then join? Will the rain ever stop? And will the wind ever fall below Gale Force? The "Open Morning" was successful with 11 adults + 2 youths turning up, plus 2 new phone calls in the evening. All "Welcome Packs" have now gone so another dozen need photo-copying. The Community Centre has been booked for the 28th Feb. 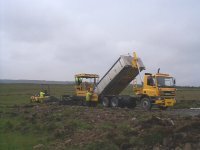 The land-fill contractor did not turn up - surprise, surprise. These guys really are a pain - if the are not interested, why do they not just say so? Iain Wemyss has tracked down the local councilor and we'll see if there is any other grant money available. The runway construction plans have now arrived, and site plans are being done for the planning application. Sunday:- phoned an entry to the local newspaper regarding the club. I intend using this to keep non e-mail people up to date with progress. The big day arrived. We received a letter from the Scottish Sports Council awarding us �4306 under the "Awards for All" scheme. Detailed planning now needs to start asap. On Sunday distributed the remaining letters to the neighbours. Only 1 person voiced concern, but we still need to be careful. Spoke to 2 possible contractors and arranged to get back in touch prior to next site visit. One lives nearby so he's handy. Iain Wemyss has sourced a couple of other grant applications so they need looking at. Another new member has joined us. A good week for a change. Not a bad week when all is said and done. Plenty of sunshine but very cold, and a lot of rain as well. All the local fields still have lots of standing water so we are no worse than anyone else. The main event this week was to send off the planning application. A last minute action was to measure the distance from the runway to the road which Jim managed to do somehow. The magic date is the 26th March when we will hear from the planning committee. This in not really a concern since the planners have already done a preliminary assessment and reckon we will be okay. Nevertheless, you can't go spending �5000 on someone's say-so. Detailed planning is now underway so that we can start work at the beginning of April. I finally got around to adding buttons to the web site, and improving the "No Frames" version. I've also got us linked from a few other local sites. This is important - think about where the locals will browse and get your club's web site linked from there. There's not a lot to report this week. We had to send more new maps to the planning committee so we may not here until the 26th April. Major disappointment. We are in discussions regarding the indoor exhibition. Jim has a meeting tomorrow to discuss but the overall idea is to do a 3-way presentation between us, the Scottish Jet Team and the Scottish Aerobatics Team. I have installed the R/C simulator training software on the local community centre's computers for those non-computer members. This turns out to be a GOOD IDEA. 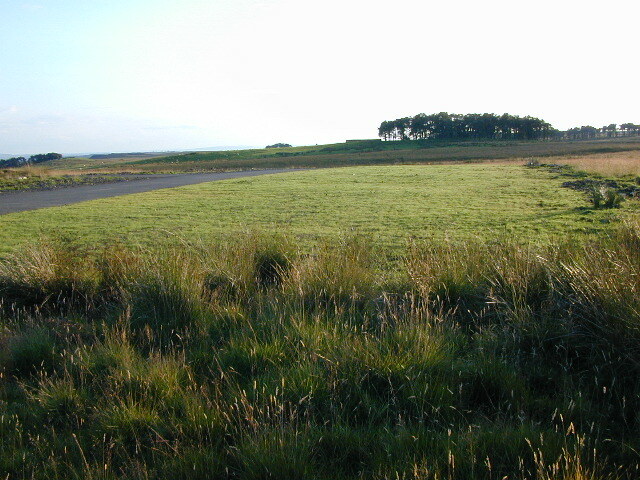 The North grass runway built in year 2, see later. 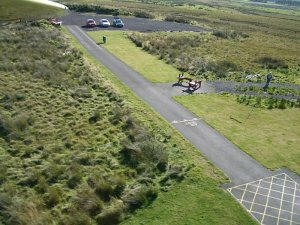 We have applied for and received �300 from the West Lothian Sports and Recreation Association to buy a Real Flight simulator and a further CSM one. Hopefully we will have these working at the exhibition. The exhibition at Freeport is ON. Scoonie Hobbies and The Paisley model Centre are donating raffle prizes to supplement those donated by our club. It's been another hectic week. On Monday sent out 10 press releases regarding the Freeport fund raising exhibition for the Scottish Jet and aerobatics teams. Jim has had extensive discussions with the concrete squad. They are all working 12 hour shifts, so we may have to do the whole job ourselves. Now there's a surprise! Iain is trying to get concrete prices, and Douglas has been in touch with a JCB owner. Hopefully he'll get in touch and we can get him ready to go as soon as we get planning permission. Started making up the data sheets for the exhibition so that the public know what they are looking at. These will be printed on card and will stand beside each model. Scanned a couple of pictures of the aerobatics team and uploaded them to the web site. Think that we should really have a presentation page on one of the web sites for each of the teams:- names, pictures, models, successes etc. On Saturday morning I went over to Scoonie Hobbies (60 mile round trip) to pick up the box of raffle prizes they donated for Freeport. In the afternoon Jim went to the Paisley Model Centre (another couple of gallons gone) to pick up a Mascot kit donated by Bill Grimsby for the raffle. Got some nice photos & data from Martin Gibbs for the exhibition. The big green button has been pushed and things lurch into operation. Sunday: The HiMac is delivered to the site and parked away from prying eyes. Make a final phone call to the contractor and speak with the driver. All systems are go. At last! Monday 19th April: Beautiful day - sunny, warm, just like summer. 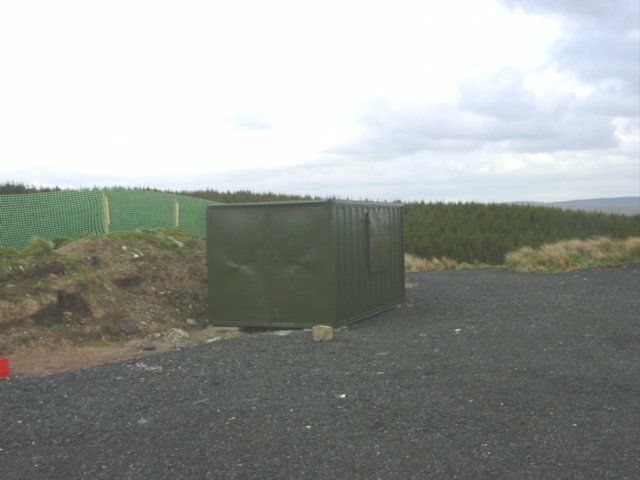 (08:00) Meet the driver at the site, and spend an hour looking for the keys to the himac. Tuesday: Rain all day with some dry spells. Very cold wind. 12:00 The Himac driver finishes clearing the runway, leaving only some leveling to be done later. I shoot off at 12:00 to try and get a lorry with a HIAB to move the Porta-wreck. Somebody smashed all the windows last night so we need it moved urgently. 13:00 We arrange for the contractor at some local road works to deliver top soil, and strike a deal for used type1. We'll be lucky if we ever see it. 16:00 After countless phone calls to the tipper contractor we are told "Sorry, no can do!". This was a major disaster - a whole day wasted!! The whole building business is a complete shambles! Jim goes home to find a Yellow Pages to try and get a hire lorry for Wednesday. 16:30 HIAB lorry arrives as promised and moves the porta-wreck in about half an hour. Something has gone right for a change! 16:45 Himac driver by now has cleared a large area of car park for us and has built a decent wind break. Major success. 17:15 Drop himac driver off and go home. Stop off at farmer to try and get some diesel for the digger. 19:00 Phone Iain Weymss to see if he has any green paint. The porta-wreck is bright red on one site and needs toned down a bit. 20:00 (8 o'clock in old money) Jim arrives at the door for a planning meeting. 21:00 Speak to contractor - he will drop off diesel in the morning. (07:30) Leave house. (This is me on holiday remember). (07:40) Pick up the hi-mac driver and get to the site. (08:40) First load of rubble arrives. (09:20) Second load of rubble arrives. By this time Jim then has ordered the Teram and the drains, for delivery on Thursday. He has also got the plywood so we can board up the windows until we can afford new glass. (10:20) Third load DOES NOT arrive. By 10:30 starting to get concerned. (11:20) Third load still not here. Very annoyed by now. (11:30) Set off to find lorry driver. Find him about 2 miles away heading towards the site. Turns out he run out of fuel. This is incredible! (12:00) We now have Load 3 but are now a full load adrift, and about 1 1/2 hours behind schedule. (4:10) Load 6 arrives & driver says he won't have time to deliver any more. However, following a couple of big hints, he does agree to deliver another 1 to make up for the time he lost in the morning. The path from the car park to the runway is now covered with rubble and is bedded in. (8:00 - 9:30) Go to Jim's to cut up the plywood for the windows. 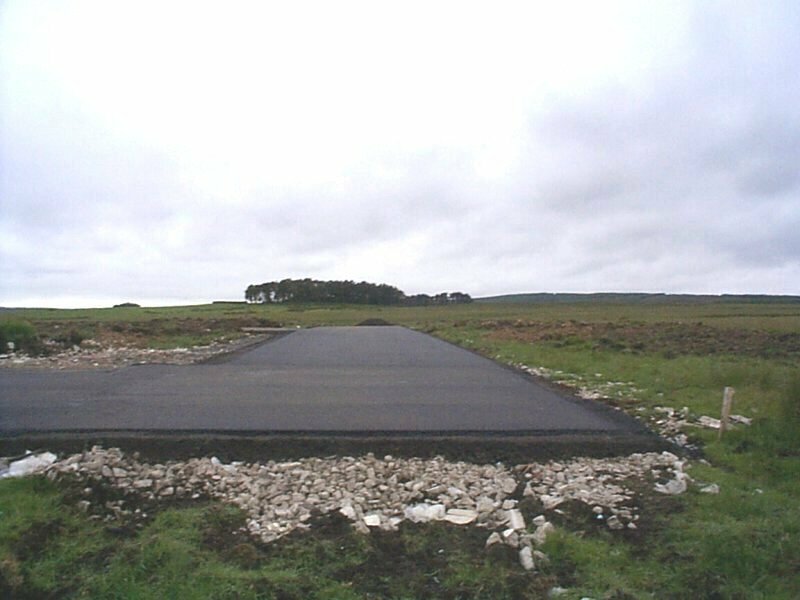 Picture showing the main runway just after the tarmac was laid. The leading edge was subsequently smoothed off. (07:45) Arrive at site to accept first of 5 lorry loads of rubble promised to us by a demolition company working in the area. To cut a long story short, by 4:30 we still had not seen any of it. (4:30)Went home completely fed-up and suicidal. Cancelled the drains and Teram. Discussed how to recover the situation and agreed to get another contractor to deliver rubble on the Friday, with a JCB to spread it on Monday. This was a very frustrating day. We could not get hold of the rubble provider to find out what was going on. It was also a day of heavy rain, so the open clay was getting broken up. Although we tried hard, 3 men alone could not move 20 tons of type 1 quickly enough to protect it. Ian Weymss did a great job in boarding up the porta-wreck which has now been promoted to Porta Cabin since it is now weatherproof, has its door back on and is a nice shade of green thereby merging into the background. Another frustrating day! Colin was on-site at 08:00 in case the promised Type1 and rubble arrived - did it what! I arrived about 9:30 and dug a new drain to help take the water away from the road. In the meantime Jim was arranging the JCB for Monday, and placing an order for 6 loads of rubble. Colin and I moved some of the rubble down to the gate entrance as this was starting to get very soft and mushy, while Jim dug a drain from the bottom of the runway to let the standing water clear. Colin honed his D.I.Y. skills by painting the (now boarded up) windows. At 4:00 (at last) two 20 ton loads of rubble arrived. The first lorry went along the access road without problem, but the second driver ran off the road and got stuck. (The lesson here is to make your access routes at least 4 metres wide). We spent the next 2 hours unloading the lorry by hand, and trying to pull the lorry out, first with the farmer's tractor and second with a JCB to no avail. John Donaldson arrived about 7:30 and the lorry excavation squad arrived shortly after with a D6 bulldozer and pulled the lorry out in about 15 minutes. The farmer's chain got broken so we'll need to pay for that, and we'll need to pay for the puncture he got yesterday. John again looked after the fort and supervised the unloading of 4 loads of rubble. Things are now moving, although about a week behind schedule. About 8:00 PM Jim phoned to say we have got the rubble for free, and a couple of loads of Type1, and a roll of Teram might also be forthcoming. This is in exchange for Jim finishing off a trainer aircraft for someone and getting him started flying. A "good deal" if it come off. Meet John Donaldson at the Teram suppliers at 07:30. Buy Teram and transport to flying site. 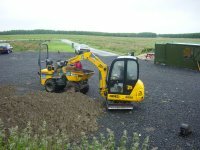 Meet up with JCB driver and get him started moving rubble onto the runway. The JCB driver's firm also happens to be taking rubble to the local dump so a quick phone call gets it diverted to our place. 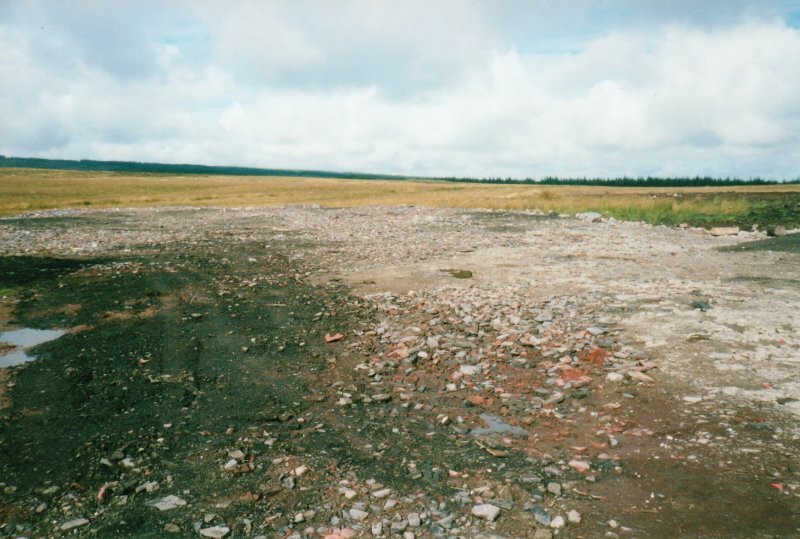 By close of play the runway is covered with Teram and has enough rubble on it to keep it in place. I guess we need another 12 loads + a heavy machine to track it in. The concrete has a lot of reinforcing steel wire through it and so needs some heavy duty bolt cutters to tidy it up. We had arranged to meet one of the demolition contractors working in the area, but as is now the norm, HE DID NOT SHOW UP!! A phone call found out that he had been called to an emergency fire in Edinburgh but still wanted to meet us - either Saturday or Sunday morning. The site agent for the local road works has told us that we will only get another 20 tons of type1 rather than the 60 as expected, and it might be sometime this week (another let-down). The other 40 tons of type1 from the haulage firm has also failed to appear although next Sunday would be a good bet for this to arrive. Back to work for a rest. My real work that is. This was another exciting period. The local ice rink was being demolished and after negotiations, we took delivery of about 800 tons of rubble. The demolition company also put in a 32 ton Hi-Mac to spread the rubble. In addition, a local cement works got in touch asking if we could use their scrapped cement tiles. (Xmas has come early). We took delivery of 20 pallets worth, wrapped in polythene and moved by fork lift to the exact spot and arranged to take them for the forseable future. By the end of all this we had a 50m x 20m car park, a 50m x 3m path to the runway, and a 65m x 7m runway foundation complete with pilot stance and starter box area. Special mention goes to Colin Hume who almost lived on the site, co-ordinating deliveries and keeping the main road clean and the neighbours happy. All we have to do now is clean up the site and lay the tarmac. We're getting close now, and the end is in site. Sunday was earmarked for the tidy-up. The morning was nice and saw about 6 or 7 early risers getting stuck in. Unfortunately rain stopped play about 1:30 so not much more was done. We received a bit of bad news. 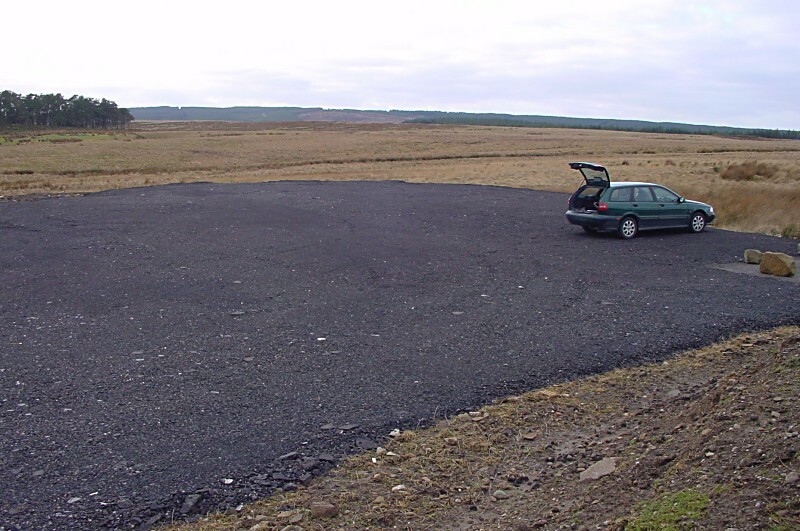 Our original planning permission was for a concrete runway, but we submitted a request to change to tarmac. The council wrote back saying "we would introduce an urban element into a rural area". It�s a bog for goodness sake. Not only that, but our planner had gone on holiday for 3 weeks. Negotiated our rent payment as a brand new roll of Teram instead of cash. That�s more money in the runway fund. Put out a request for next year's fees to bolster the runway fund and got an immediate donation of �100. "Ask and you might be lucky and receive" is something we have learned. More tidy up work was carried out, and the long grass attacked with the strimmer. The sun cannot dry out the ground if the grass is too long and drains are our best friend on this site. Friday: GREAT NEWS!!!! A letter arrived from the planners. 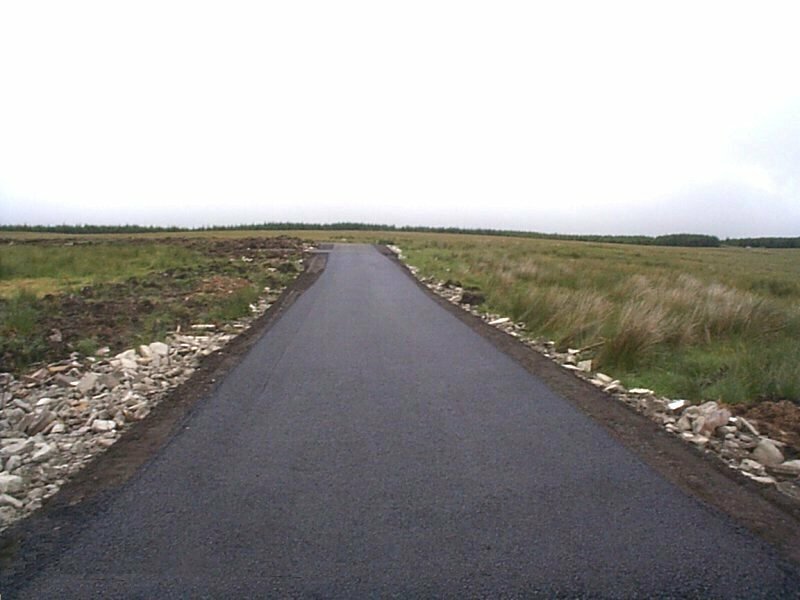 They accepted our points and gave permission for tarmac. All systems are now "go!" There is light at the end of the tunnel. Its all been worth it. All we need is another couple of hundred pounds. This was reasonably easy week. All I had to do was take a half-day off work to meet the estimator from the local council to explain what we wanted. The quote arrives from the council and the go-ahead is given. Arrives at site around 07:30. Council workmen arrive about 09:00 but soon get started. The day was threatening rain but it held off long enough to get the tar down. Too much rain and they would have had top come back when it was dry. We didn�t have enough money for that so I guess we were pretty lucky. The runway should have been 6 metres wide. 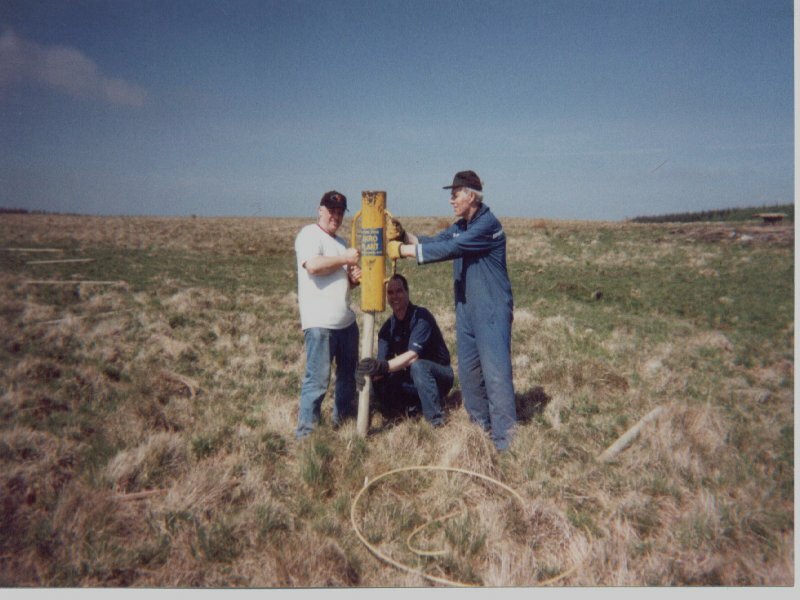 The foundation was, because we checked it, but they only did the top surface at 5 metres. 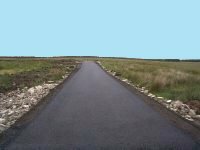 Negotiated 100 tons of road bottoming as compensation for the narrow runway. Bottoming material arrived. Farmers tractor was borrowed and all the bottoming material was spread down either side of the runway, and at either end to give good run-off areas. 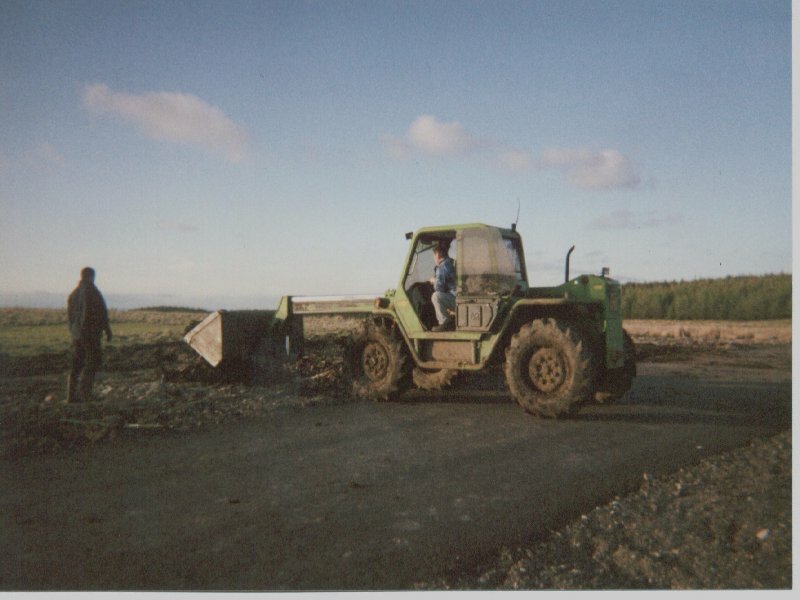 The farmers quad bike and harrows was borrowed and all the open clay was leveled off. We had the official opening day looming so we really had to get the site tidied up. This just seemed to take ages. Everytime you looked there was something else needing done. All I need now is a plane to fly. If you�ve read this far, please don�t be put off. It IS worth it. Errected a 500m electric fence. 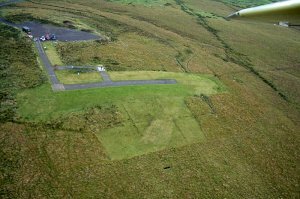 Built a grass runway adjacent to the tarmac one. (scraped out old top surface, put in drains, put in new top soil, re-seeded). Foot & Mouth stopped play for most of the year. 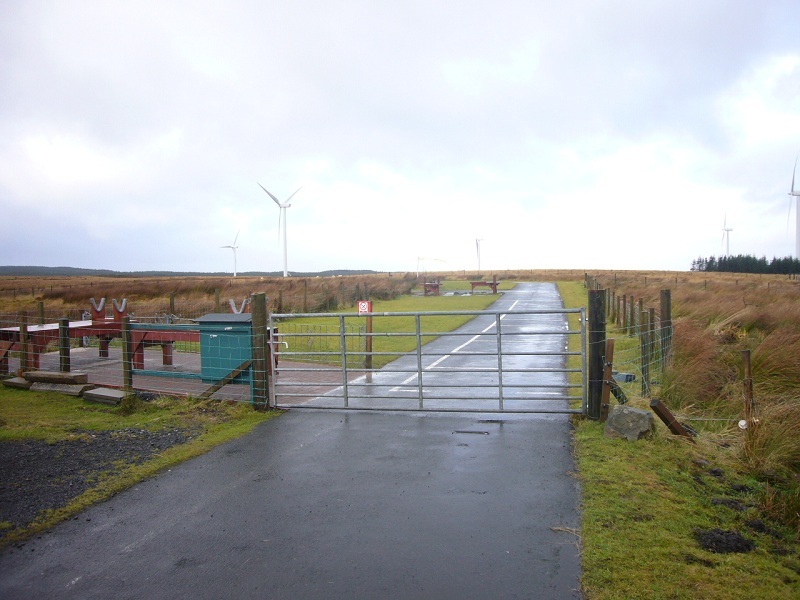 Plans to surface the access road and car park put on hold. Submitted a second planning application and applied for a second "Awards for All" award to allow us to install a safer car park, and a container to use as a club house. These are particularily useful for our older members who can get inside out of the cold. Submitted a third "Awards for All" award to bring the site up to competition level. 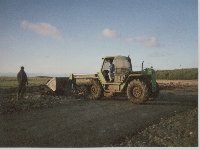 The resulting work involved digging out a new pits area and re-filling with top soil, and importing, laying and leveling new top soil on the South runway. We also put in a cross wind runway. This was put in with the intention that training would not be impacted if the wind was not beginner friendly. 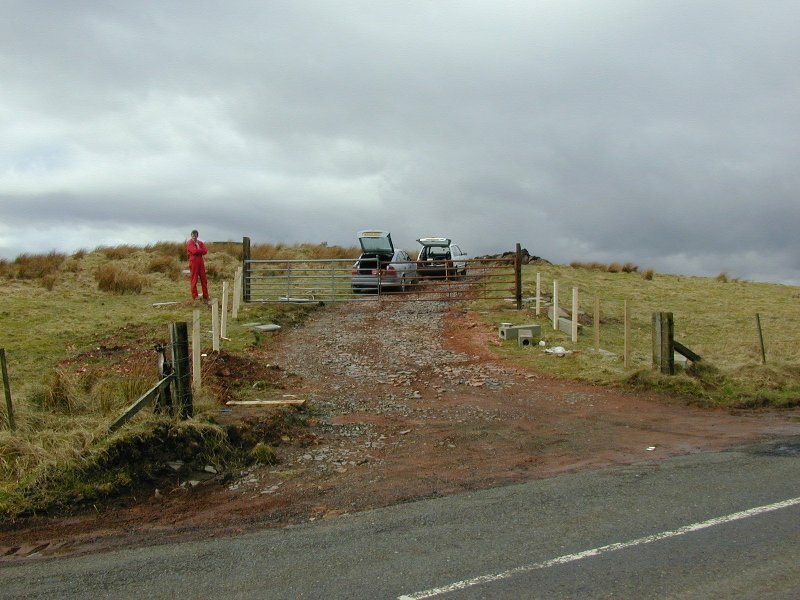 In 2011 we made a major investment to installing a stck-proof fence around the perimiter witht he aim of keeping the sheep out. This has paid dividends as the site is a lot cleaner and healthier. and two assembly tables were donated and the area mono-blocked and fenced off. Pick a site with the sun at your back. Keep the neighbours informed. Tell them before you do anything, and then once a year. Get your web site on-line as soon as possible, even if it's just a single page with basic contact details. Get it onto the SAA and BMFA "Links" page. Advertise in the local model shop, libraries, put old magazines in doctor's surgeries and dentist's waiting rooms (remember to put a label on them with contact details). Apply to your council for grant money. The buzz words are:- providing opportunity, training, competition involvement etc. try the lottery via the "Awards for All" fund. If your site is wet, sort out your drains first. Once the site is useable, your biggest problem is going to be instructing newcommers. Simulators that they can borrow, and a buddy box for each of your instructors makes life a lot easier. A strong robust trainer (Mascot or Hi-boy) is great for giving potential beginners a shot before they buy anything. If you are re-seeding grass, go for a very slow growing mix. Ours took a year to be usable but only needs cut every 4 weeks. Consider using an alternative runway whilst your new, proper one is built, levelled or re-seeded. Try and buy your site. If you cannot, try and lease it from the Council. If not, then do a favourable deal with a farmer. Don�t scrimp. We pay �20 per member for rent so the more members we have, the more he gets. �Let him know your plans. If you want a tarmac runway, tell him up front. If he has a tractor/digger/loader you might get to borrow it. Always give him some money in return. An electric fence is great for keeping cattle out. We have about 6 acres fenced off. 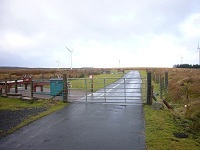 Get planning permission for "change of use". Get the planner out and keep on his good side. If you are dumping rubble for foundations, you need a licence from SEPA. It's a nominal cost. Get a receipt from the lorry driver for every load they deliver. This is not a hassle and they are used to it. 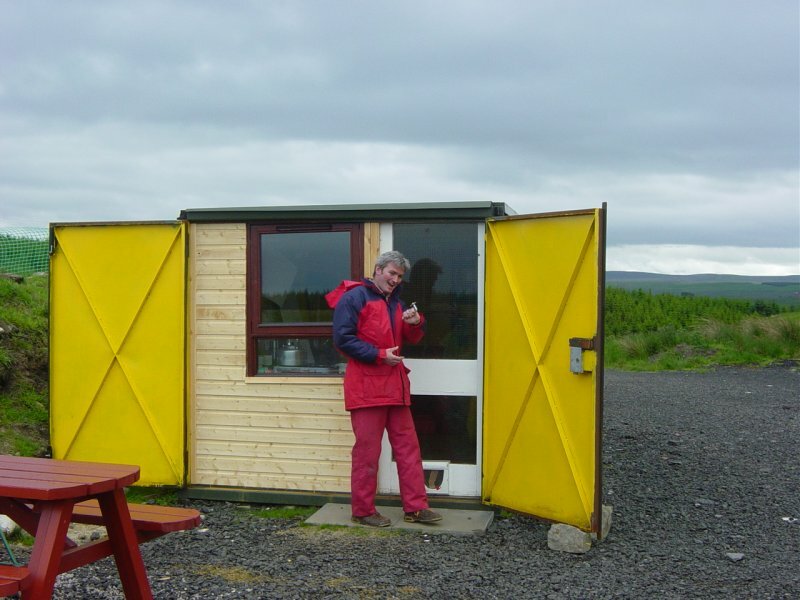 If you are putting in a porta-cabin or container permanently, you will need planning permission. Don't give up. Get a team of 4 or 5 people who are committed to doing most of the work. Contract out the bigger jobs. This article may be freely copied and distributed as long as the source is acknowledged and the contents are not modified.